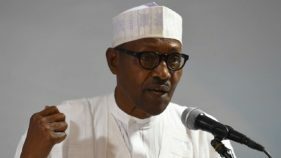 A justification for an inevitable return of President Muhammadu Buhari to Aso Rock in 2019 has not unexpectedly accompanied the frenetic campaigns in some quarters. 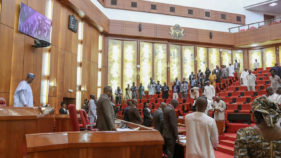 The president’s political party, the All Progressives Congress (APC) and the leaders of his government reel off the epochal achievements that have validated an end to the citizens’ serial negation of his quest to occupy the presidential office. For them, these achievements redound to the bid for his return as a means of completing the good governance he has espoused and enthroned. And more importantly, they want the citizens to appropriate a campaign for his return as serving a purgatorial purpose – a way of discharging their obligation of gratitude to him for bringing uncommon integrity to bear on governance. Yet, these people lack the right credentials to proselytise the suitability of Buhari for re-election. Their fold lacks that authentic voice to signal the readiness of Buhari for the 2019 election. That voice is needed to tell us if Buhari has done well in the past three years and some months. Or what accounts for the misses and near-misses and the circumstances that must be guarded against for their recurrence. That voice is that of the First Lady Aisha Buhari. Just a little over a year after Buhari assumed office, it was Aisha who alerted us in October 2016 to the very remote possibility of the president delivering good governance . In an interview with the British Broadcasting Corporation (BBC) in October, 2016, she told us how a cabal that did not enjoy the public’s support was the one that was in charge of Aso Rock and not her husband. This cabal, according to her, determined who should be appointed into government. Such appointees neither shared the vision of her husband nor did they help him in his quest for the presidency. In essence, those who would have helped the president to translate his dreams into reality were marginalised by the cabal. She threatened that she would never mobilise women to campaign for Buhari if this trajectory of deviation from Buhari’s vision by the cabal went on unchecked . Since then, Aisha has assumed the role of the conscience of the Buhari government. All the officials of the Buhari government and his party would express their readiness to disown their mothers in order to prove that Buhari and his government’s integrity is unassailable. They would insist that Buhari has so much turned the nation into a developmental hub that Nigerian citizens overseas are now restless with the nostalgia for home. Not even in the health sector do they see the depredations of neglect by the Buhari government. Not even when the president repeatedly goes abroad for his medical treatment. But Aisha has exposed this kind of official duplicity. Indeed, it was Aisha who told us in October last year that the Aso Rock Clinic had no drugs even though it was given a yearly allocation. She was outraged that the level of decay and official connivance was so horrible that there was no X-ray machine in the clinic. She had to go to a private hospital to avail herself of its X-ray machine. And nobody was sanctioned even after revealing the scandalous development . Aisha’s positions are not just the rantings of a frustrated woman who is consigned to the ‘other’ room. We see the evidence that justifies her positions. Consider the APC primaries. 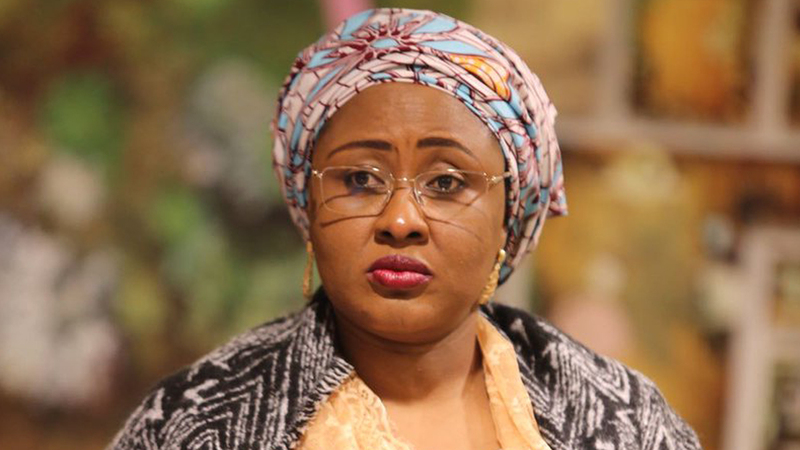 While the leaders of the party were gleefully regaling the nation with tales of how they had proved the naysayers wrong by conducting successful primaries, it was Aisha who warned them of the risk of their party and political fortunes being consumed by the cataclysmic consequences of their predilection for electoral manipulation. It is thus imperative that for us to determine whether Buhari should seek re-election, we should go back to Aisha. Would she campaign for Buhari’s re-election? It does not seem Aisha would. At a conference organised by Project 4+4 in Abuja on Tuesday, Aisha hinted us of this. She insisted that two persons were frustrating Buhari’s efforts at good governance. 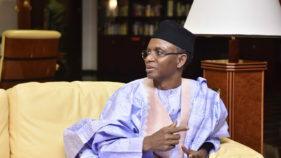 Since in the reckoning of Aisha these two men are not playing a positive role in the government of the president, it is curious what made Buhari to appoint them in the first place. It is the same warped logic for recruitment that Buhari has displayed in his administration. It is a faulty logic that cannot help him to do what is right. It is the logic that has underpinned his appointing only cronies who at the end pursue provincial rather than national interests . Who are these men? Aisha did not allow us to know their names. But we must not regard the failure of Aisha to name the these two men as an accident or a deliberate act of circumspection. No, we are left with this void of namelessness in order for us to grasp the infinitude of the power of these men and the fact that it serves as a site for the proliferation of the dark excesses with which they afflict the nation. They call the shots. They determine how the president thinks. Here lies a nation-unravelling contradiction. How is a man who is thought for and spoken for become a touchstone of integrity and the embodiment of a nation’s aspirations? If the citizens voted for a break with the past in 2015, do these men not hark back to that dark past? Aisha is alarmed that instead of these men being excoriated and exposed by those who are aware of their crude manipulation of state power, those who know them rather seek their approval for access to the privileges of Aso Rock. For these are the men who determine who should be awarded a contract. They determine which part of the country should be given a developmental project. Or how and when the Boko Haram war should be fought and ended. Are these not the men who decide who should be prosecuted and not prosecuted in the anti-corruption fight of the Buhari government? Again, there is a sense in which the void is nameless in order to accommodate any officials of Buhari. These officials preside over their offices like fiefdoms with their own rules that cater to their own interests. There is no national or Buhari’s compass to rein them in. Thus, if Aisha who is exposed to the intrigues of Aso Rock and the secrets of her husband that are not known to other citizens cannot declare confidently that her husband is no more in the grip of the men who have incapacitated him, it means that the president is not fit for re-election . Let those who want to shed their blood for the re-election of Buhari go ahead. Let those who want to trek from Lagos to Abuja in demonstration of their support for his re-election do that. And those who would make their states ungovernable, kill and maim for his re-election should go on. But Nigerians cannot judge through these ones if Buhari deserves re-election. They are not qualified to tell the citizens if Buhari has the acumen to choose on his own the path that would improve the lot of the majority of the citizens. They lack the competence to assure the citizens that Aso Rock would not again be hijacked from Buhari if he is re-elected. Their message does not resonate with the citizens when they insist that there is no cabal in the presidency. It is the voice of the First Lady that the citizens would like to hear. That voice would express approval or condemnation that would urge them to vote for Buhari or warn them to reject him because of the danger of a hijacked presidency ahead. But if Aisha does not warn them again, probably in a bid to preserve her domestic felicity, she has done enough to let them know the kind of president they are saddled with. And if they decide to afflict themselves with him again, this should not be because there has not been enough warning from her.